Ichigo Amano is rushing to dress, while her family is waiting downstairs for her. 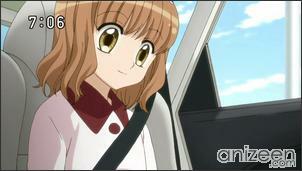 After falling down the stairs, she and her family get into the car to head for a piano competition that her younger sister Natsume will be competing in. Ichigo is depressed because her younger sister is great playing the piano, and she hasn’t developed any obvious talents or interests in anything. But that day, after watching her sister win the piano competition, Ichigo wanders into a pastry exhibition and takes a bite of a cake that tastes just like the cakes that Ichigo’s late grandmother used to make. 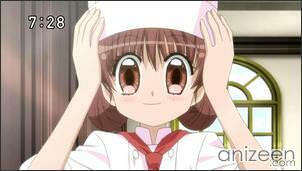 The young foreign pastry chef who made that particular cake is surprised that Ichigo recognizes the flavor. Ichigo mentions her grandmother, and it turns out that her grandmother was a teacher at the pastry school from which the young chef graduated. The young chef, Henri Lucas, recommends that Ichigo study to become a pâtissière (female pastry chef) like her grandmother, and since there is a branch of that pastry chef school not too far away in Japan. Ichigo’s mother tells Ichigo that she’s sorry for always concentrating on her sister Natsume and leaving her to fend for herself, and she’s glad she found her dream. This is how Ichigo is able to convince her parents, after that, she prepares to transfer. 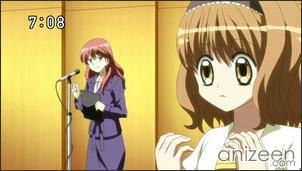 So, Ichigo enrolls in St. Mary Academy, where soon, she will meet a “spirit of sweets“. 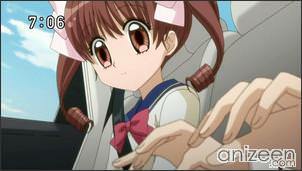 Ichigo Amano is a 14 year old girl who loves sweets. She may be a bit clumsy but she tries hard. Ichigo was ignored by her mother for many years. 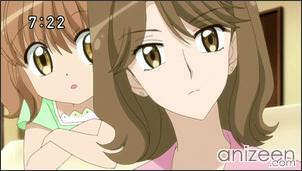 Her mother used to only pay attention to her younger sister, Natsume. She used to practice the piano but quit shortly after. 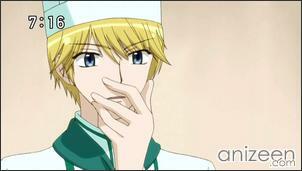 Ichigo has a good sense of taste that was discovered by Henri-sensei. Her dream is to bake the strawberry tart her grandma made for when she was crying, and that cake always brought back her smile. Vanilla is Ichigo’s fairy of sweets who is good with vanilla. She may look pretty and cute, but she is also quite self-restrained. 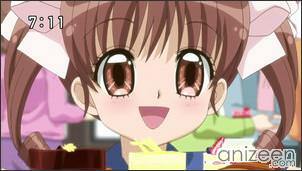 Makoto Kashino is one of the “Princes of Sweets” of the school. Kashino is unsociable, not straightforward, and is blunt in a prickly character. He is concerned of a lack of height and specializes in chocolate. His dream is to become a leading pastry chef and own a first-class restaurant. 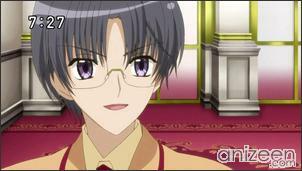 Sennosuke Andou is also one of the “Princes of Sweets” of the school. 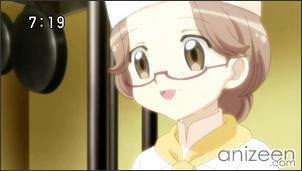 Andou is the eldest of 5 brothers and specializes in Japanese sweets. He is a childhood friend of Kashino. His dream is to open his own shop next to his family’s selling sweets that blend Japanese and Western tastes together. 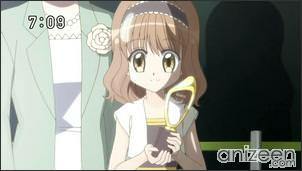 Satsuki Hanabusa is the third “Prince of Sweets” of the school. Hanabusa specalizes in candy and cakes. He loves all beautiful things, and seems to be a narcissist. His dream is to work together with his mother, who arranges flowers. 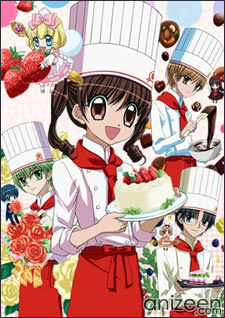 Yumeiro Patissiere (夢色パティシエール) is an ongoing Japanese shoujo manga series written and illustrated by Natsumi Matsumoto. 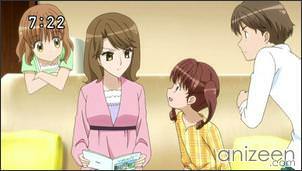 It begain serialization in the October 2008 issue of Ribon. The individual chapters have been collected into three tankoubon volumes by Shueisha as of September 2009. The fourth volume is scheduled for November 2009. 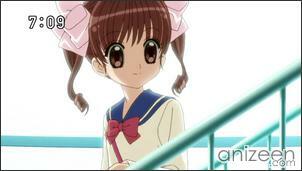 The was adapted into a TV anime series by Studio Pierrot and start airin on October 4, 2009.